كيتنز سكوتيش فولد و سترايت. عمر 2 شهر. ام و اب مستوردين من أوكرانيا. سعر 100-200 دينار. سكوتيش فولد 200 دينار. سترايت 150. سكوتيش سترايت لون اسود 100دينار. 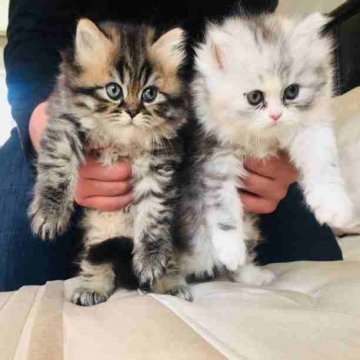 Kittens Scottish Fold and Straight, Marble and Tabby colors. Price 100-200jd. D.O.B. 20.08. Parents brought from Ukraine. Scottish fold 200jd. Scottish straight 150jd. Scottish straight black color 100jd. More information for seriously buyers WhatsApp 079 7168639.